First Nations in Quebec have set up an action to stop what they call illegal clear-cutting near their homes. A group called the Anishinabe of the Ottawa River Watershed set up the check point last Tuesday about 300 km northwest of Montreal and say they’ve turned away loggers and trucks. 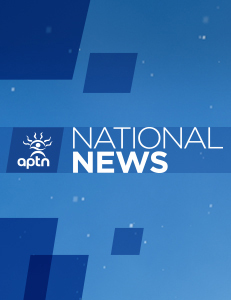 In a press release, the group says clear-cutting is taking place right near their homes and in an area the Anishinabe have lived for millennia. “The area they’re protecting is a burial ground. It’s also their traditional hunting grounds,” says Naomi Lasry, one of the group’s supporters. Those at the action say Surete du Quebec has been monitoring the situation but no arrests have been made. Video purportedly was live streaming and updates showing the scene are being posted to YouTube. People appear to be digging in for a prolonged fight. Lasry says more supporters are leaving Montreal next week by bus. “We’re making a stand,” she says. This isn’t the first time people in the area have fought logging in the area. in 2007, several were arrested after a blockade went in the same area and those charged are still in the courts. “Seven years later and they’re fighting this,” Lasry said. Where’s the children –who is looking after them while you are seeking attention? Have problem with company do mind power and do legally. Blockade is sooooo Old! No, National chief to back you up. You have a Headless Objective. No, leader no First Nations. 🙁 . you make FN woman like me appear stupid like you.